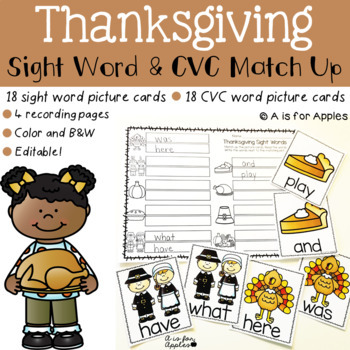 These are fun games to use to practice sight words and CVC words with a Thanksgiving theme! 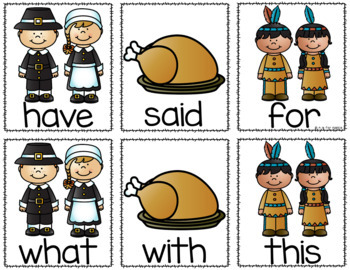 Students match up the Thanksgiving picture cards, read the words, and record by the correct picture or write a sentence. Each game includes 18 picture cards (in color or black and white) and 2 recording pages. 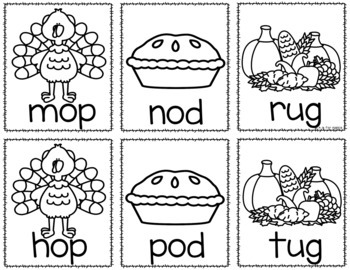 This is a great activity for sight word stations, word work, or with a pocket chart. 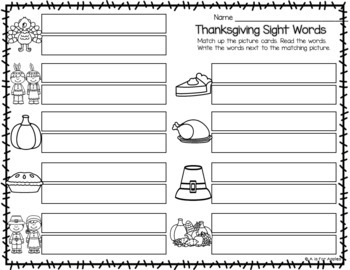 There is an editable file included so you may type your own sight words or CVC words instead.